There is disagreement across the releases as to what's the 7" Remix and what's the LP Version. All editions of the album apparently come with the 3:32 version. But that is the version which many of the singles call Another Holiday or the 7" Remix by John Potoker. Meanwhile, the A-side of all the 7" singles is a ~3:44 version, sometimes said to be Edited by The Other Ones. And then there is this US promo 12", which says the longer track is the 7" Remix and the shorter one is the LP version. It also only credits Potoker for the 12" Remix, called Berlin Dance elsewhere. So I have no idea which is which. 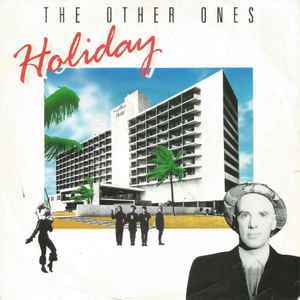 Record cover indicates "Jackson" as the B side... it's "Another Holiday" actually.